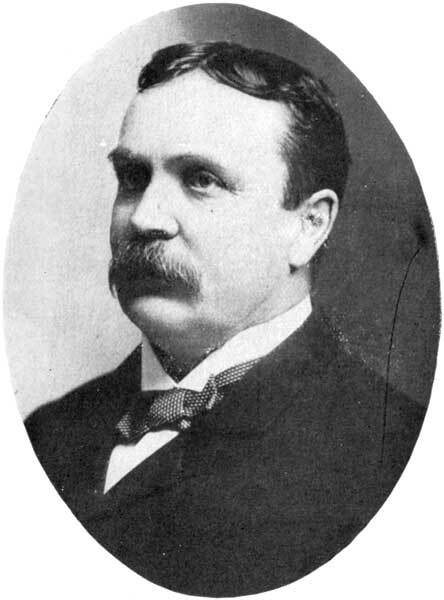 Lawyer, Mayor of Winnipeg (1897), MP (1900-1904). Born at Pakenham, Lanark County, Canada West [now Ontario], on 5 May 1855, son of James and Elizabeth Wallace McCreary, he was educated at Arnprior, where he began the study of law. In 1881 he moved to Manitoba and became the private secretary to Dr. J. C. Schultz. He finished his law studies and formed a partnership with George Elliott. He was elected Alderman for Winnipeg in 1883, 1884, 1886 and became Mayor of Winnipeg in 1897. In 1897 he was appointed Commissioner of Immigration, and in 1900 he was elected Liberal MP for Selkirk, defeating John H. Haslam by one vote. In 1882, he married Annie Ellis Greene and they had seven children. He died suddenly at Ottawa, Ontario on 4 May 1904 and was buried in the Elmwood Cemetery. He is commemorated by McCreary Road in Winnipeg, and the Rural Municipality of McCreary in Manitoba. “Recounting the Selkirk ballots,” Winnipeg Tribune, 19 November 1900, page 1. “Funeral of late member,” Winnipeg Tribune, 5 May 1904, page 1. “Sudden death of W. F. McCreary,” Winnipeg Tribune, 5 May 1904, page 2.